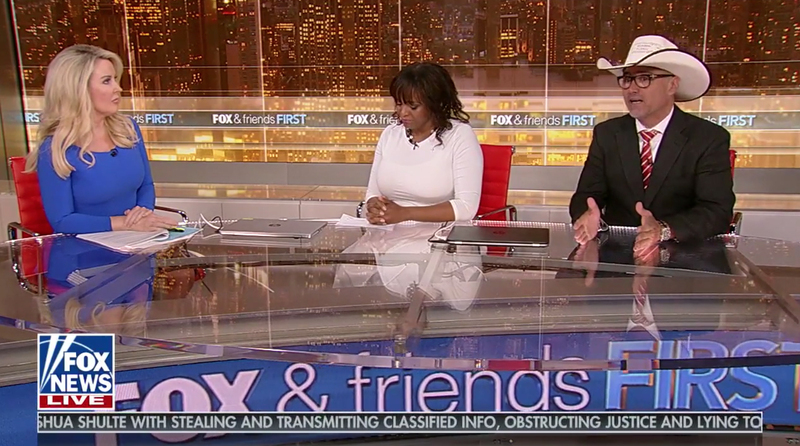 “Fox & Friends First,” the cable network’s early morning programming block, has continued to break it its new home of Studio J by adding virtual set extensions that feature imagery of exposed brick walls and decorative items fed to the set’s plentiful video walls. 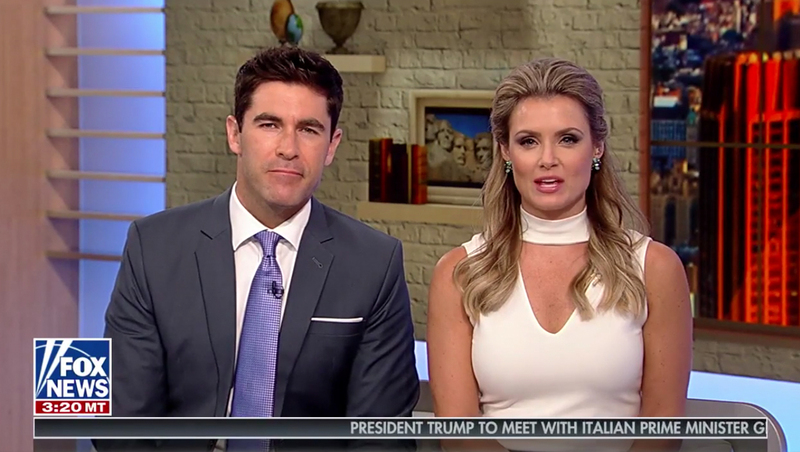 Used both during the first and second hour of the show, which features different hosts, the backgrounds are primarily white exposed brick with downlit shelves featuring virtual knickknacks, books and framed photos and other items. Some versions also feature a faux window with shade. The faux brick was featured on the shows previous set. Although frequently placed alongside of real scenic wall elements, such as the vertical bands and backlit panels, none of the brick, shelving or objects are real. The backgrounds are used in two shots, one shots and wide shots, including with a pane featuring a live video fed of a remote interviewee. In addition to the new backgrounds, the show has also added a contemporary white sofa. The show has also continued to use the gold hued cityscape backgrounds that were first seen June 19, 2018, the day the show first moved into Studio J. 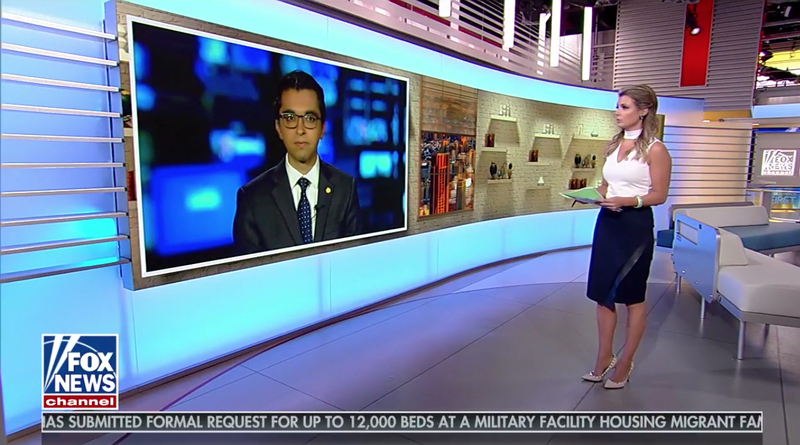 Another show produced in the studio, “America’s Newsroom,” also makes use of virtual set extensions, though it relies on imagery based on looping video of the network’s newsroom. “America’s Newsroom” was produced, temporarily, out of the small studio adjacent the real newsroom while Studio J was rebuilt.